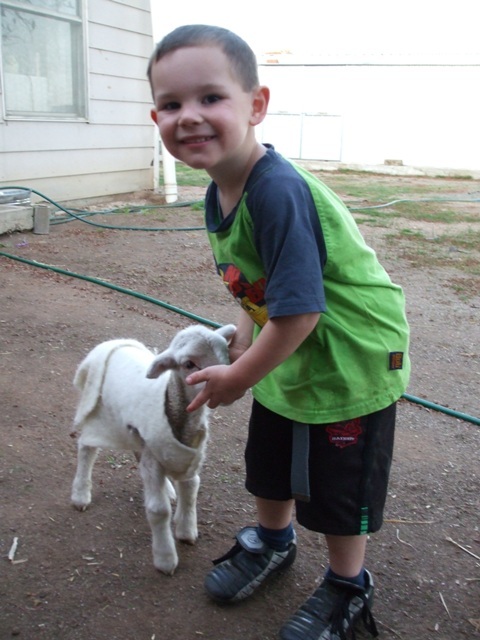 We specialise in producing quiet, easy to handle animals for beginners and lifestyle animals. Having animals which are even tempered and easy to handle for routine husbandry tasks such as drenching and vaccinating makes all the difference, particularly for people who havent had a lot of experience with livestock. Research has also shown that quiet animals produce more milk, meat and fibre, and are healthier. We also enjoy animals that are friendly, will walk over to you in the paddock for a bit of feed, a scratch or just a talk. Structural soundness - animals MUST have correct conformation in terms of feet and legs, backlines, shoulders and pelvis. Any animal which is not structurally sound will not be used for breeding; males and females will be sold for meat or pets, males will be castrated. Reproductive ability - males must be masculine and have correctly formed testicles and be able to successfully impregnate females, along with well laid in shoulders for easy birthing. We believe only the very best males should be kept for breeding, and so we only keep 1 - 5% of all males intact. Females must be feminine and display length of neck, smooth shoulders and large pelvic capacity. Females are expected to be joined at 12 months or earlier, with some superior animals birthing their first young at 12 months. 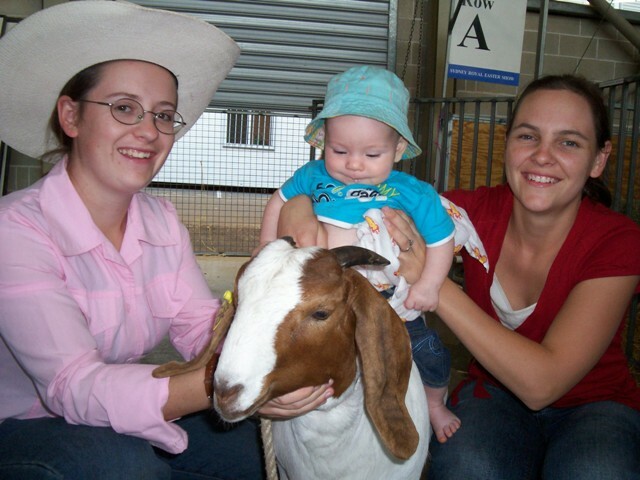 Females are expected to raise their offspring to weaning, those which consistently fail to do so will be culled from the herd. Multiple births are preferred and those animals which consistently produce singles will be culled. Both females and males are expected to produce offspring which are equal or superior to themselves in quality. Meat, dairy or fibre character - depending on the purpose of the animal, it must show good meat, dairy or fibre character. 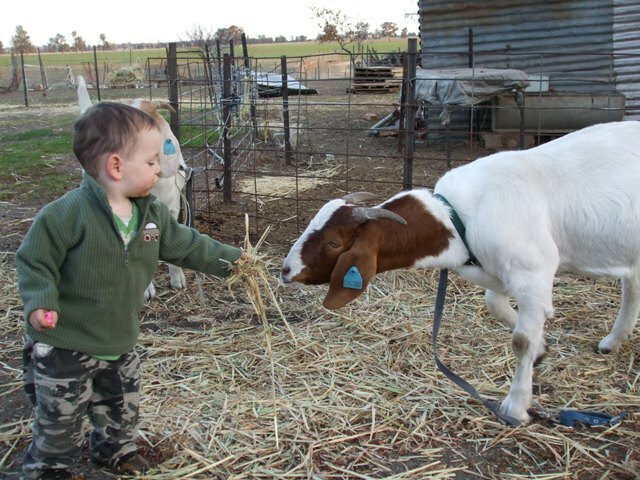 Boer goats and Damara sheep must display good carcass attributes. Dairy goats must show good milking ability. Angoras must show good fibre qualities. 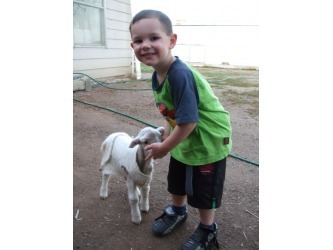 Breed character - animals should conform to the breed standard in terms of breed character - for example, the characteristic brown head and white body of the Boer goat and the fat tail of the Damara sheep. Animals lacking in breed character can still be suitable for breeding, and will be sold as commercial breeders. More specific breeding objectives and goals will be found by clicking on the animal type in the menu on the left.